I know this post will stir some controversy, and I completely understand that. A few years ago, I probably would have been just as outraged as some of you are sure to be. But I also know there are many parents out there desperate to get their children to read. If that is you, read on. I have two sons, ages ten and eight. My eight-year old enjoys reading and being read to. Though he is dyslexic and has struggled plenty, his work with two dyslexia specialists over the past year have done wonders for him. He has gained academic confidence and, while his reading level still lags behind his peers, he chooses to read. He still loves being read to, and he and I read aloud together every night. While he may struggle decoding the words, he has no trouble with comprehension. And the insight he gives when we discuss the books we read just continues to blow me away. My ten-year old is another story. He is an active, intelligent, confident boy. He loves school, particularly PE and math. He's deeply involved in theater and school leadership. While he excels at most everything without even trying too hard, reading just isn't something he chooses to do. When he gets "into" a book, he will devour it, but often, he prefers to do other things. Where a few years ago, he read without prompting, he now prefers watching TV, playing computer games, and playing soccer in his downtime. On school nights, he prefers to spend his "quiet time" before bed coloring or drawing instead of reading. Up until this summer, I didn't push the reading too much. I encouraged it, sure, and we read together when he would let me. He's busy and I get that. Is it really so bad that he loves just about everything EXCEPT reading? He tackles and excels at so many other things. He has always been focused and driven. My thoughts were, when he needs to read to get ahead, he will do it. 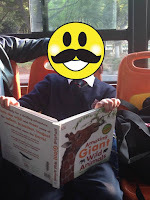 He wants to be a zoologist one day, and if that requires reading (it does--a lot of reading), then I have no doubt that my son will make that happen. That all changed a few weeks ago. My industrious 10-year old asked if he could do chores and get an allowance, and my husband discovered a fantastic little app called Allowance Bot. No, I'm not being paid advertising dollars to tell you about it, either. Allowance Bot allows parents to assign chores and keep a running tab on how much money each child has earned. My boys can access it on their ipods, which means they can check their balance and "bonus" chores anytime they want. We like that we do not have to keep cash on-hand for allowance each week. When the boys want to use some of their money, we can deduct the money within the app (just like online banking!). There are also ways to add monetary rewards and punishments (we call them fines, such as a fine for leaving lights on or for us having to put their dishes in the sink). This app was worth every penny of that $2.99 we paid for it. MOM, PLEASE GIVE ME MORE CHORES! Anyway, it wasn't long before my boys were requesting more chores so they could earn more money. Their weekly chores already consisted of keeping rooms clean, sweeping and mopping floors, putting away their clean laundry, and cleaning the toilets. They were already doing a lot to earn their weekly 55 RMB ($8.61--we currently live in China, and the app allows different currencies). We added things as we thought of them, but our boys, particularly our 10-year old, kept requesting more chores! At first, our 10-year old was sticking with graphic novels as his bread-and-butter. He read a few Big Nate and Stickdog books. It was more than he would have read without the incentive, so I was happy enough. But then he read a longer Avengers novel and earned 50 RMB. He LOVED that book! It took him maybe three weeks, but he was soooo proud of himself when he finally finished it. I don't think he had ever read a big book like that all the way through. And it didn't stop there. School started two weeks ago, and he has already read two Magic Tree House books from the school library. He read a biography on Michael Morpugo. He read a Scholastic Art magazine and was excited about how much he learned about Egyptian art. 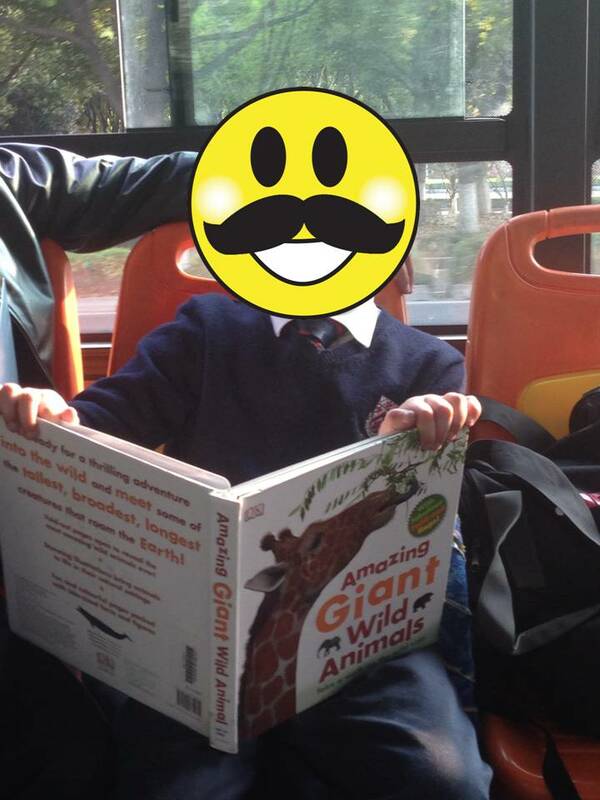 We ride the city bus to and from school for about 35 minutes each way, and he has been choosing to read to and from school most of the days in the last two weeks. Then yesterday (tears in my eyes here! ), he checked out Wonder by RJ Palacios. And now I am ready to cry. Because he's excited about it. He says his friend recommended it to him and had read it twice. And--hello? !--it's Wonder!!!! So the obvious next question is, how do I know he is reading (and understanding) the books we are paying him for? The honest answer is that I can never be 100% certain. As a librarian, I have read or am at least familiar with the majority of the books he chooses, so we do talk about the books. It does take him several days to finish even a short book, and I do see him reading for periods of time over those days. I can't imagine he would have the stamina to stare blankly for 30 minutes or more, several days in a row. So I am sharing this story with all the parents out there--and there are many of us--whose kids just don't choose to read. Their reading skills will not improve without practice. I have worked in school libraries, at all grade levels, for over 11 years now. I've seen how excited 5- and 6-year olds get during story-time. I've seen the passion in their eyes when they get to take home a library book for the first time. Little kids--yes, all of them--naturally love learning, and reading is a huge part of that. But far too many children stop reading for pleasure in those upper-elementary and middle school years. Reading becomes harder, and children are expected to recall reading details and write responses to their reading. They are tested on what they read, which is never fun for anybody. Thankfully, some students will regain their passion for reading as they get older (I've seen it firsthand), but many will not. I am not suggesting that paying children to read will work for every family. I know this is an unorthodox idea, especially coming from a school librarian who reads and writes for FUN every single day. The big argument here is the difference between extrinsic and intrinsic motivation. No one has to pay me to read, but if I could get paid to do it, I would totally jump at that opportunity. Neither of my boys is intrinsically motivated to clean, but paying them to do it (a little extrinsic motivation) makes them beg for more cleaning jobs. As much intrinsic motivation I have for my job, I wouldn't go if they decided not to extrinsically pay me anymore. It's okay if you want to judge me. I'm expecting it. I am fully prepared to get comments from nay-sayers whose children read because they love it and not because they are being paid to. Maybe they clean without getting paid, too. I get it. And I agree with you. But at least so far, it is working well for my son. Since he's reading and enjoying it without my prodding, I'm going to ride this wave as long as I possibly can. Hey, if it works, go with it. Reading is a skill that all kids need to do well and practice is practice. It sounds like your son is choosing what he wants to read and the allowance is just a little more incentive to do it. If I had a kid I would totally use that ap and have no qualms about paying my kid to read. I think it's a great idea. I was just having this conversation with a cousin (he has 3 children. I have 2) about rewarding our kids to read. We both have kids that either can read and do it well but would rather not and choose something else to do. Or kids that have a hard time doing it and definitely will never choose it and find nothing rewarding about doing it. As a Librarian I said my insides just naturally hated the idea of rewarding them to read, but then I thought, I'm a natural born reader and will do it if payed or not. But not all, and as heartbreaking as it may be, no even my kids are like me when it comes to reading. So my cousin said rewarding them to read just sounds logical and reading this post of yours is just making so much sense. THANK YOU! It's all about distractions. I grew up in the 80s, not that long ago really, but we lived in the boonies. We had one 13" black and white TV that got two very snowy local channels. No cable. One corded phone in the kitchen only. Certainly no computer. No internet. No XBox or Minecraft. Neighborhood kids were at least a mile walk away. So very different from my kids' big city lives!